TaylorMade continues to have success this season in the metalwoods category. Week in and week out, they continue to be the most popular choice across the golfing world. Wondering what it would be like to have this success, we thought it would be fun to interview the TaylorMade M Family metalwoods. Obviously, they can’t speak for themselves. Here’s how we imagine they would answer our questions about their performance over the past month. Thanks for joining us today. Let’s start with the U.S. Open at Erin Hills. Were you intimidated by the length and long fescue grass around the course? Thanks for having us. To put it plainly, no, we weren’t intimidated. Our designers ensured that we create incredible ball speed for distance while remaining forgiving to keep the ball in the short grass. For example, the Geocoustic sole on the M2 2017 driver and wider adjustment range on the M1 2017 driver optimize CG. Finding the best CG location for your swing delivers the ball speed and forgiveness we mentioned. GG: Speaking of distance, Brooks Koepka used the M2 driver and M2 2017 3HL at the U.S. Open, earning his 1st major. His tee shot on the 72nd hole went 379 yards, with the fairway wood! TM: Yeah, he bombed that shot! And we’ll forgive him for not having the M2 2017 driver in play. We were just happy to help him get the win. As you know, keeping it in the fairway is a premium at any major, but especially at the U.S. Open. It’s so much harder to score if you are hitting from the rough, let alone that crazy fescue. GG: Don’t forget that Brooks tied a fellow TaylorMade staffer, Rory McIlroy, for the lowest score, to par, at a U.S. Open. TM: That’s right. What a great week! GG: Let’s not forget the performance of Brian Harman, after winning the Wells Fargo Championship. Brian had a really solid week of play, earning a T2 finish at Erin Hills. TM: Brian is great to work for. He gets underestimated as a long hitter because of his size. Brian averaged nearly 300 yards off the tee for the week, even launching a 338-yard rocket on Sunday. He also hit 80% of fairways for the week, thanks to the M2 driver and fairway woods in his bag. GG: We’re going to switch gears and ask you about Rory. How’s it been in the hands of one of the best players in the world, now that he has a full bag of TaylorMade clubs? TM: To be in the hands of a true artist, like Rory, has been incredible. He is able to use the M2 2017 driver and M2 Tour fairway woods to hit consistently longer and better shots. The re-engineered speed pockets and multi-material crowns on both clubs give Rory what he’s looking for, performance-wise. We’re excited he made the switch and look forward to what the future holds for him. GG: A crowd favorite, Boo Weekly, played well at the Travelers Championship. Talk about your week with Boo. TM: Boo is great. He can really launch it too (noticing a theme here?). Having large crowds follow us is nothing new. In fact, we like the attention, thriving in the spotlight. But, to answer your question, the T5 finish for Weekly was hard-fought and well-deserved. We couldn’t be happier for him. GG: That wraps up the questions we had for you. Anything further you wanted to add? TM: Your readers should go out and try a member of the TaylorMade M Family metalwoods out for themselves. 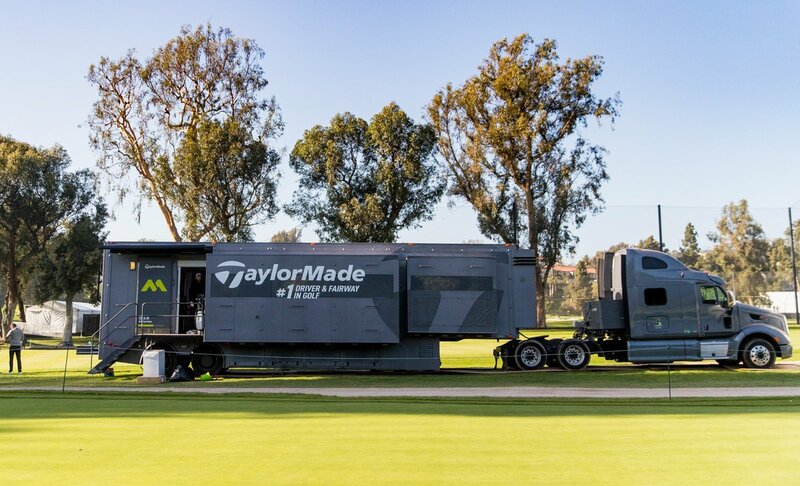 Experience what makes us so trusted by tour players and how we can help your game. Thank you. GG: Thank you for the time!